The crust of PC be able to endure hit, it can supplement electrolytic liquid, in order laboratory and locale general use, superior testing accuracy. Cable standard length 1.7meter (including probe), other length available upon request. Cable standard length 2.9meter (including probe), other length available upon request. Note: Waterproof, Suitable for Aquarium. vitreous material, using in measure of laboratory precision pH, The measure solution contains organic impregnant and occasion of superior temperature. it can complement KC1 electrolytic liquid. The crust of PC be able to endure hit, gelatin KC1 electrolytic liquid dispense with complementarity, the sensitive velum of special plan. it is applicable to determine surface pH value of paper making, piece goods, skin, fruit ect. The crust of PC be able to endure hit, it can supplement electrolytic liquid, in order laboratory and locale general use to measure the oxidable reductive electricity of solution. it use to reductive medium currently. vitreous material, in order laboratory and locale general use to measure the oxidable reductive electricity of solution. The measure solution contains organic impregnant and occasion of superior temperature. it use to reductive medium currently. it can complement KC1 electrolytic liquid. It is use in the department of thermoelectric mill, paper mill, hospital and aquaculture ect. The complex electrode is made of natrium electrode and reference electrodes, use expediently.It is use in the department of thermoelectric mill, paper mill, hospital and aquaculture ect. 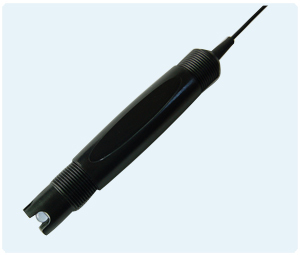 The conductance electrode is measure element of conductivity meter. It is use to measure conductivity of solution. it can be add temperature compensation element to increase the measure precision according to client's need. and it is provided with the capability of temperature compensation. It is mostly applicable to electricity factory, semiconductor, pharmacy, pure-water processing, chemical industry, foodstuff drink, paper making and sewage-water processing ect. PH electrode installation: flow-through, sunk, flanges, pipes type. 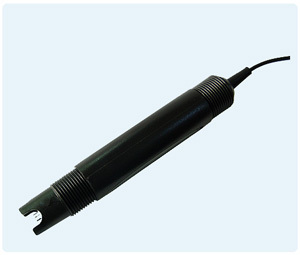 Electrode cable length: 10 meters standard, can be customized according to user requirements. The industry PH electrode adopt specific glass, electropolar sense velamen and gelation electrolyte salt. It can meet international standards with the express correspondence and good stability. 3. Annular polyethylene solution can counteract stain. So continued-online detection is supported. 4. Different sensitive membrane electrode can be applied for different kinds of PH measurement. And it has lower electrode resistance, express correspondence and good stability. 1. 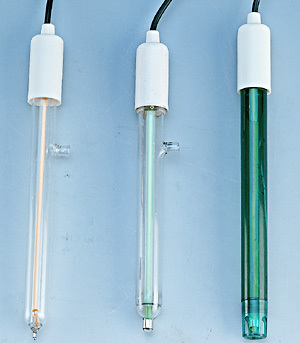 The electrode can work with various types of ph meter. 2. The electrode adopts connector way with the 3/4 inches standard screw thread. 3. The electrode can work for 1 year normally. But the life of the electrode will be reduced if there is a poor environment or an improper maintenance. Note: temperature compensation resistance choice: PT1000, PT100, PT50, 10K, 20K etc. Electrode cable length: 5 meters standard, can be customized according to user requirements. The complex electrode is not need complement KCL. It is mostly used in supply water of boiler and concentrated water of smoke ect. It is made of reference electrodes with special sensitive glass-velum and capillary Ag/AgCl of use chronically. It is applicable to the medium of high temperature strong acid. The electrode adopts connector way with the 3/4 inches standard screw thread. Connector can be BNC or Y connector, please indicate when you order. ・ The electrode is form of PT electrode and silver chloride reference electrode. 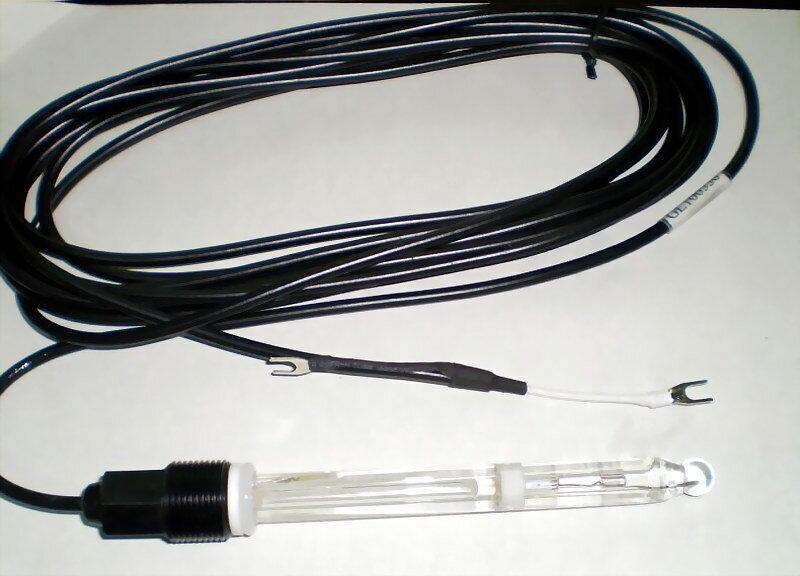 ORP electrode installation: can be side or mounted vertically in the reaction tank or pipeline.